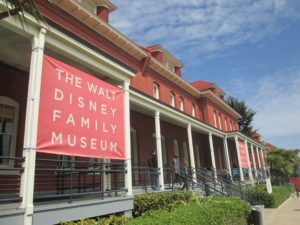 The Walt Disney Family Museum in the San Francisco Presidio opened in 2009, and I regret that this was my first visit. I can’t wait to go back – there is so much to take in at the museum. 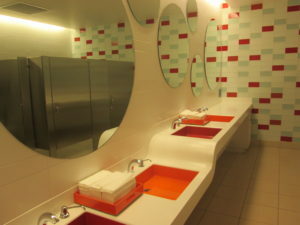 Here's my review: Walt Disney Family Museum! It seems weird that the Walt Disney Family Museum is in San Francisco, when the Disney studio is based in southern California, and Walt Disney is associated with that area. 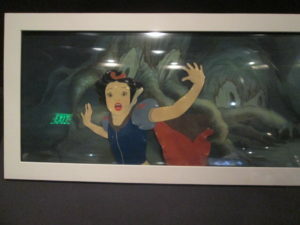 The museum was founded, owned and operated by the Walt Disney Family Foundation, which is separate from the Walt Disney Company. It was founded by his daughter Diane Disney Miller, who lived in Northern California (she died in 2013), and she thought the Presidio would be a good place for it. The museum is in three retrofitted Presidio buildings, over three floors. 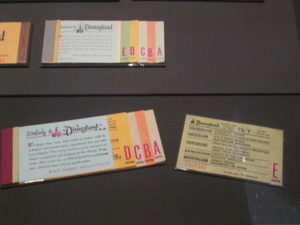 One thing I loved about the museum is that it really does tell the story of Walt Disney – the man behind the empire. The bottom floor has special exhibits. 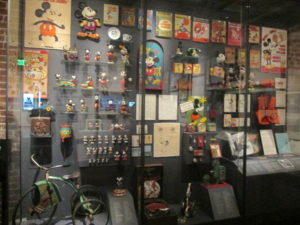 The first floor features Disney awards and shares more about his early life in Kansas and Chicago. 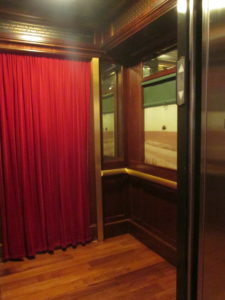 Then you go up the elevator (fittingly, the elevator is outfitted as a train car, and you take the train to California). Upstairs is the California portion, showing how the Walt Disney Studio developed - a longer and more interesting history than I knew about. 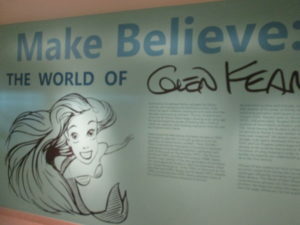 I loved seeing the Make Believe World of Glen Keane in the basement, which is there into September. Did you know that Family Circus cartoonist Bil Keane’s son Glen (who you better know as Billy) was a Disney animator? Turns out that those cartoons drawn by Bil Keane’s son (when the son took over for the day), were actually drawn by Bil Keane’s son – who had a successful career at Disney. 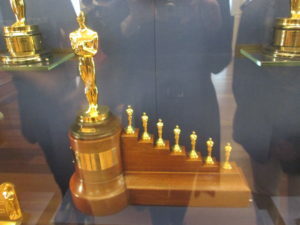 In the awards hall, you’ll see more than 200 awards that Disney or the studio received, including a special Academy Award for Snow White and the Seven Dwarfs. The next few galleries show Walt (Walter) Disney’s early life, on a farm in Kansas, in Kansas City and Chicago. 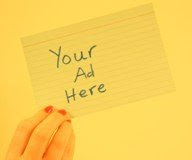 After drawing cartoons for the high school newspaper, he joined an advertising agency. The majority of the exhibits are here. You’ll ride up in an elevator that looks like a train, following along with Walt Disney to his dream of becoming an animator. His early history in Hollywood is long, but the takeaway is that he had a successful series which was a combination of live action and animation (the Nancy Comedies), and a series on Oswald the rabbit. He lost his rights to that one to another studio. 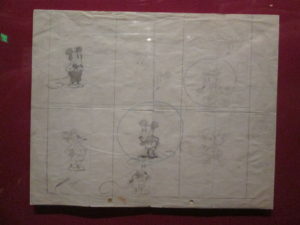 After losing Oswald, he got the idea to draw Mortimer (later Mickey) Mouse in 1928 – you’ll see the original drawing here. Of course Mickey Mouse became a success, and on heels of that, he wanted to make an animated movie, Snow White and the Seven Dwarfs. A feature length animated film had not been done before, something that didn’t deter him. 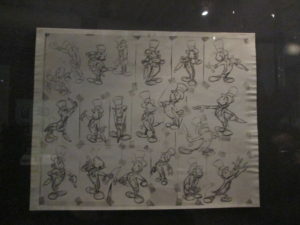 Throughout the exhibits, you’ll see original cel drawings, a mockup of Walt’s desk, learn how they developed the “character model department” for animators to use when drawing the characters, and see how other early films like Pinocchio and Fantasia were developed (and were money losers). Then came the war. 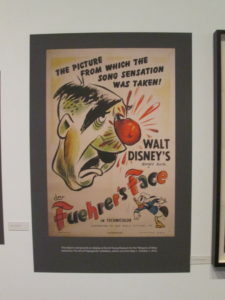 Surprisingly, Disney staff created pin-ups for the soldiers as well as war propaganda posters and films. You already know about Disneyland and Disney World. 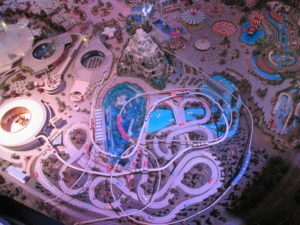 But at the time Disneyland was conceived, amusement parks were dirty, gross places. People were surprised by Walt’s idea to create a theme park. Of course it had a big train circling the park – he loved trains. And the Autopia was created with his grandson in mind. 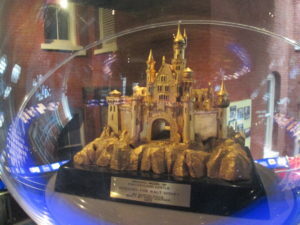 At the museum, you’ll love the Disneyland model, as well as the various plans drawn up, original vision for the Fantasyland castle and retro original tickets. 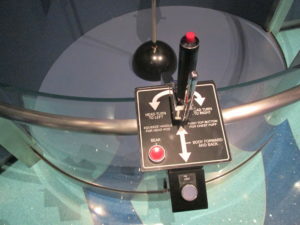 The museum then takes you into the television years, the Mickey Mouse Club and other Disney television shows. Did you know that Walt Disney was involved with the 1960 Squaw Valley Olympics? 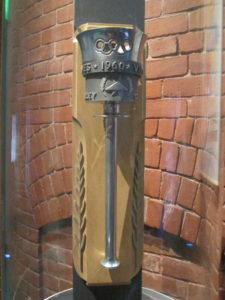 He was asked to help with the entertainment and pageantry, including designing the Olympic torch. Disney managed parking, ticketing, credentialing and security too. After this, Disney tried to open his own ski resort, which ultimately didn’t happen. Then on to the 1964 World Fair. 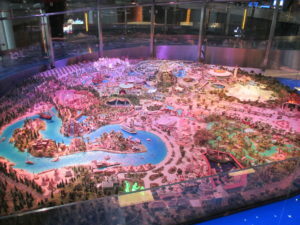 If you’ve been to Disneyland’s innovation/imagination exhibits, and some rides, you’ll see they came from the World Fair. With corporate sponsorship, he developed It’s a Small World, the GE Carousel of Progress, the Ford Magic Skyway and Great Moments with Mr. Lincoln. It was an exhausting visit to the museum, and I still didn’t read every panel. As with Disney, there’s a lot for adults and kids. You can try your hand at moving the animatronic Tiki birds from the Tiki Room. There are plenty of movies and clips to watch. And kids will enjoy seeing some of the Disney things they love. But adults will get a greater appreciation for the business and marketing genius behind Walt Disney, in addition to his raw talent. Where: Walt Disney Family Museum is in the Presidio, 104 Montgomery Street. We took the bus to the Presidio and walked. it was about a 15 minute walk. There is a bus inside the Presidio. There's also metered parking. When: Check hours before you go, but they're open every day but Tuesdays, New Year's Day, Thanksgiving and Christmas. Kids: It is stroller friendly. They have a small cafe on site. You can eat outside but there are a few seats inside. 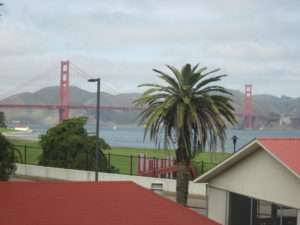 There are other restaurants and activities in the Presidio as well. Cost: free admission for military families year-round. Otherwise $15-25 depending on your age/category. Disclosure: We received press tickets for purposes of review.